We offer a wide range of high quality truck driver training courses. The truck driving industry is going though an exciting time of growth and many companies are looking to employ highly skilled and trained drivers. Pro-Action Driver Training is a truck driving school that is helping to meet that demand with our RMS accredited training programmes. 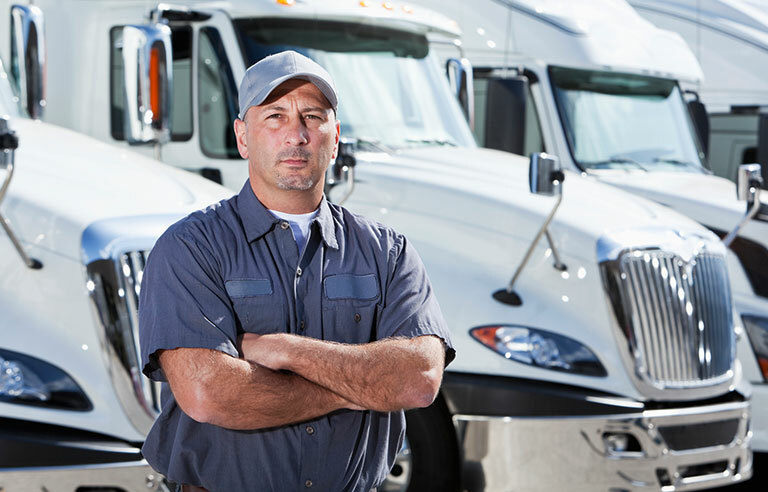 The Pro-action Driver Training is a great place to start a deeply rewarding career. Our truck driver training programmes will reward you with the confidence and knowledge to handle the everyday challenges of driving professionally on the road. Your LR truck licence is the perfect introduction to the world of professional heavy vehicle driving. There are so many career opportunities today for LR truck licence holders. And gaining your LR licence with the Pro-action driver training programme gives you a real head start. We’ll make sure you have the skills and confidence to get behind the wheel of any LR class vehicle and really get moving. 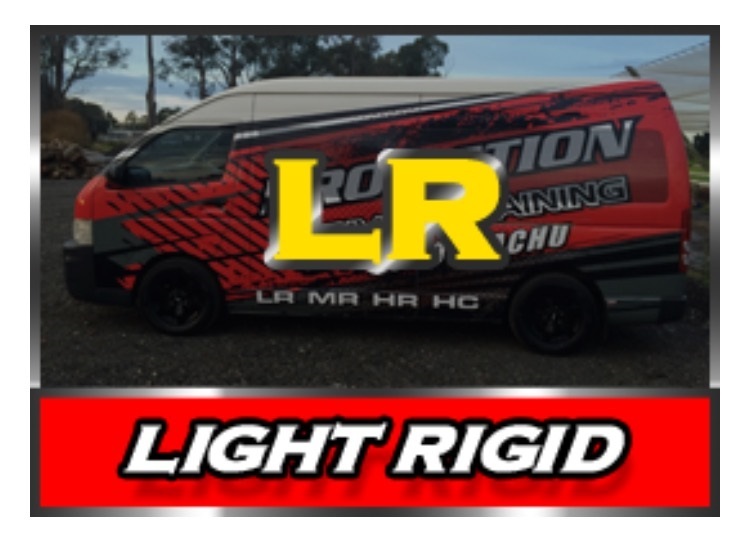 Pro-Driver Training provides RMS approved and accredited LR licence training and competency-based assessments. 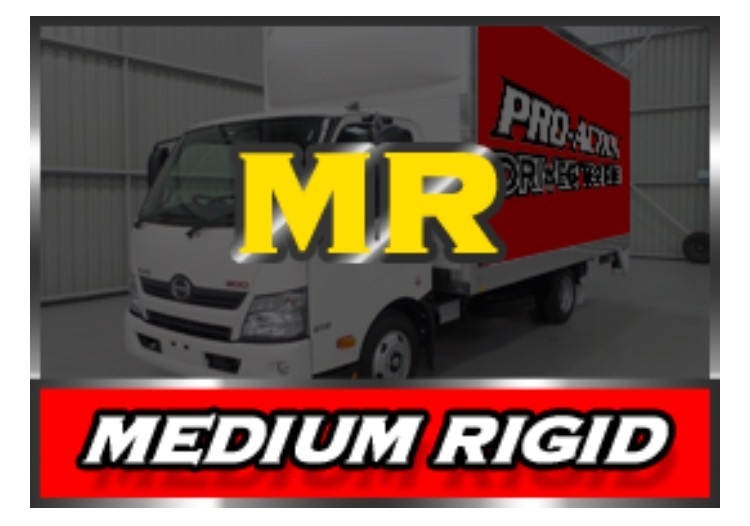 An MR truck licence is a highly desirable qualification in a high growth industry. The Road Transport Industry needs highly trained and skilled truck and bus drivers. Your first step into this exciting and lucrative career is to gain an MR truck licence from Pro-action Driving Training. Our RMS approved and accredited driver training and competency-based (HVCBA) assessments will get you moving into an exciting new career. Getting your HR truck licence is the gateway to an exciting new career. The Road Transport Industry is constantly looking for highly trained and skilled truck drivers. But for many heavy vehicle jobs you need to gain an HR truck licence from a truck driving school such as the Pro-action Driver Training programme. We provide RMS approved and accredited driver training and competency-based (HVCBA) assessments to help you step into this key growth industry. With an HC truck licence your choice or career options really expands. The Road Transport Industry can’t get enough highly trained and skilled HC truck drivers. Gaining your HC truck licence from Pro-action Driver Training is straightforward. Our RMS approved and accredited driver training and competency-based assessments (HVCBA) allow you to become part of this rapidly expanding industry. WHAT DO THESE CLASSES MEAN? It’s vitally important to have the correct licence for the vehicles you intend to drive. We can help you upgrade your current licence but there are no shortcuts to safety. The LR (Light Rigid) truck driver training covers small trucks and buses up to 8 tonnes Gross Vehicle Mass (GVM). MR (Medium rigid) truck driver training covers trucks and buses with a GVM of more than 8 tonnes and two axles. 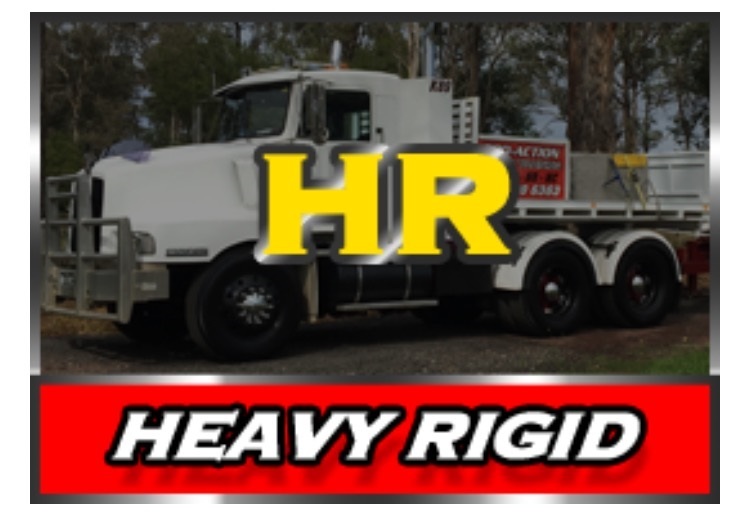 HR (Heavy rigid) truck driver training covers trucks and buses with a GVM of more than 8 tonnes and three or more axles. This includes bendy buses. 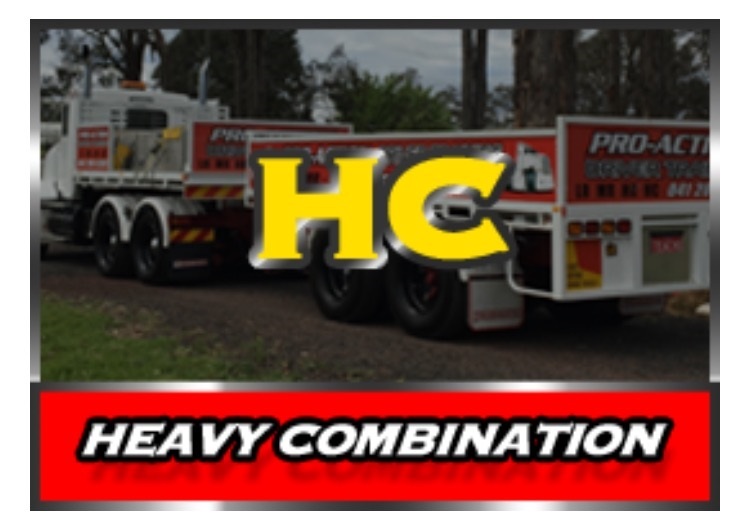 HC (Heavy combination) truck driver training covers articulated vehicles with more than 3 axles and combinations of trailers and dolly or any trailer weighing more than 9 GVM. The requirements for each heavy vehicle class licence are set out by the Roads and Maritime Services (RMS). These requirements are there to provide industry-wide competency and safety standards. And we are dedicated to upholding the highest driver training standards. WHAT ARE THE PRO-ACTION ADVANTAGES? It’s important to choose the right training provider. Our training and assessment is competency based. That means we only pass those who can demonstrate their competency. The Pro-action Driver Training gives you and a potential employer the confidence that you know what you’re doing. Having the assurance of an RMS approved and accredited course behind you can make all the difference in an industry where safety and skill are crucial. It is a legal requirement of all driver training providers that the final competency test be completed by another assessor. We can arrange this for you or if you have done your training elsewhere we can complete your final assessment with you. Become Part of Pro Action Truck Driving School to Further Your Career.